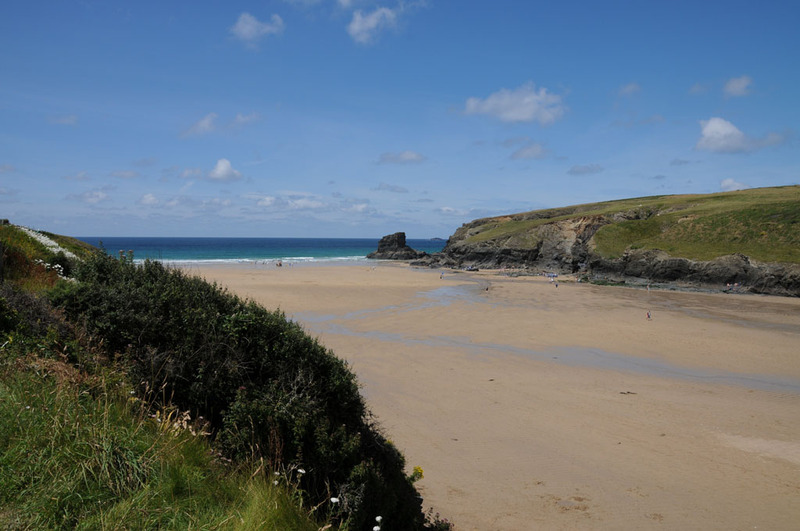 Fantastic�unspoiled, sandy beach near to Padstow. �As you can tell from the pictures, when the tide is out, the beach is huge, �however even at high tide there is a�substantial expanse of sand left. 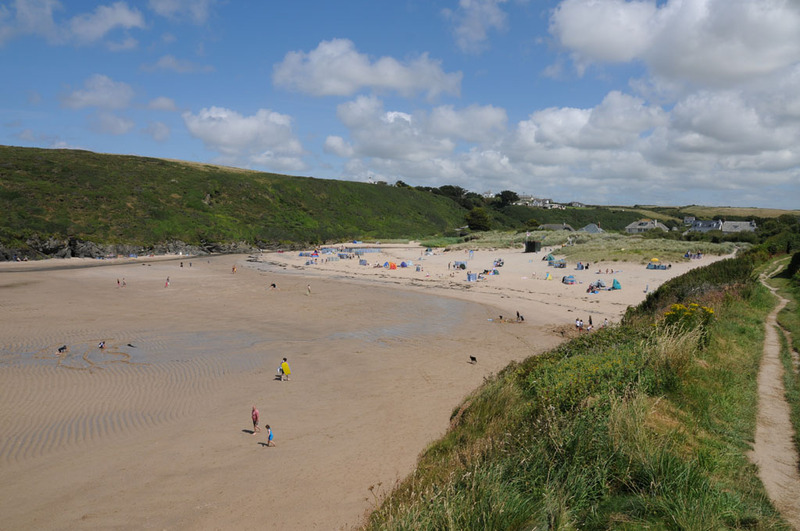 Great�quality�sand for the kids, the only downside is the hike to get to the surf at low tide. 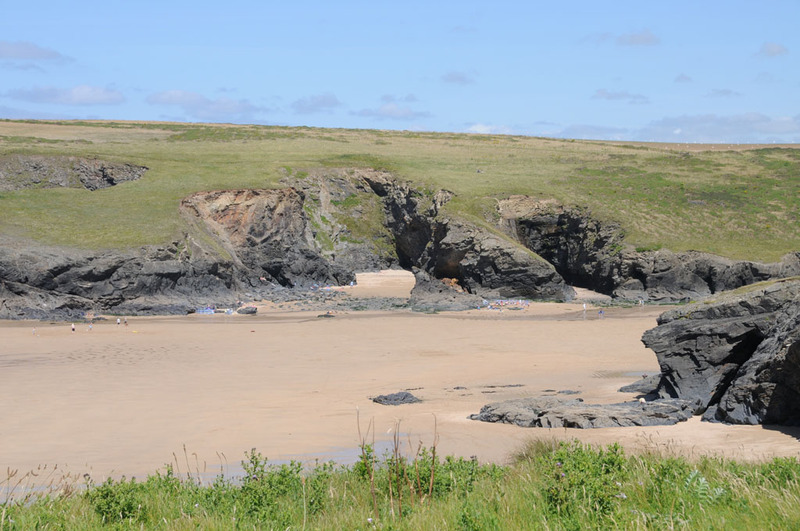 The beach is flanked by cliffs that provide easy access to some of the more easy going stretches�of the coastal path. To the rear of the beach are sand dunes and�nestled�in these is a very good beach shop. 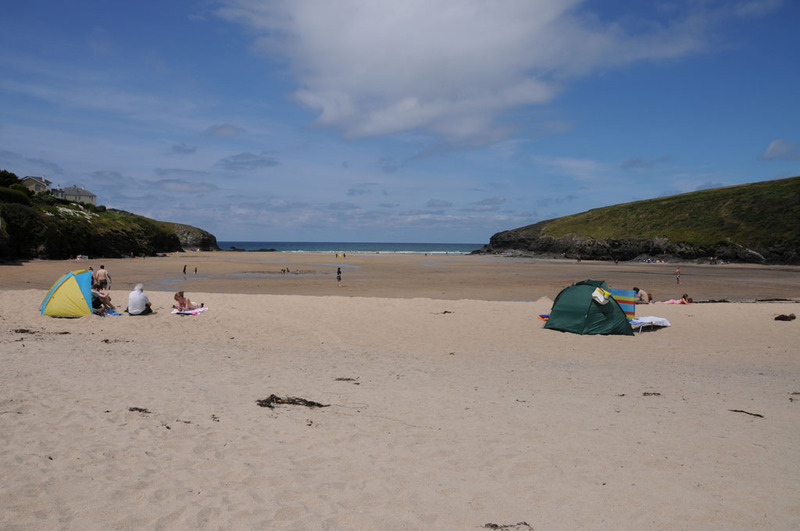 �As well as stocking the usual beach fare of buckets, spades, windbreaks etc., it also stokes a range of groceries and freshly made pasties. There is a large public car park adjacent to the beach. Toilets available in the car park.